The Abbey values transparency in all our activities. However, we no longer publish financial reports or donors’ names on the web. Our web version includes a message from Abbess Ven. Thubten Chodron and highlights from the year. 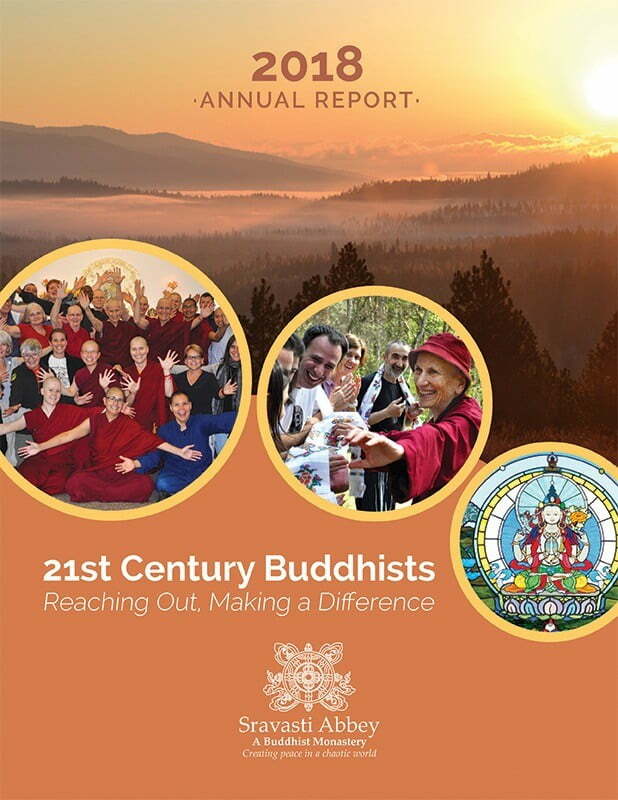 Write to the office for a complete copy of the 2018 Annual Report that includes the financial report and benefactors.